Metal scrap business is one of the highest profit generating businesses in India that require very modest investment. The business certainly has the potential to generate good profits and many people are also starting their businesses in the same field. 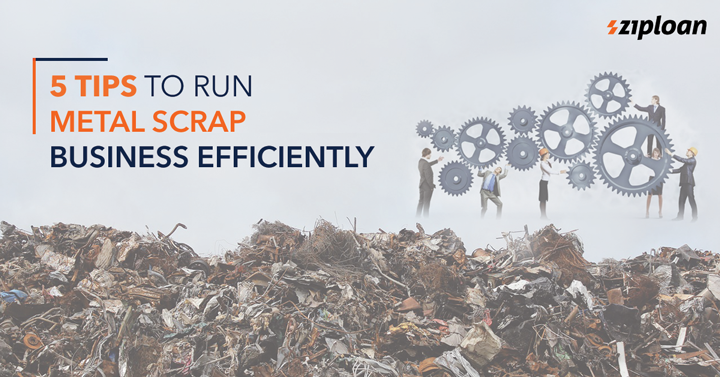 Substantial capital is also not required to start a metal scrap business. Nevertheless, in order to run a metal scrap business efficiently, you must know a few tips to become a successful metal vendor. Read on to know 5 tips that will certainly benefit you in the long run. Knowing the product well will make you understand the customers well. Metals are of two types, ferrous and non-ferrous. Also, steel is less valuable than copper and aluminum. A profitable metal scrap business will be a reality if you know to examine the type of metal scrap—a job site scrap or scarp from the manufacturer. Metal pricing is affected by daily market fluctuations. It’s pricing also depends on the type of metal, the amount required to process and clean material, transport cost, and composition of alloys. As a metal scrap business owner, you must keep yourself updated with the market prices and also have a framework of local prices in the area. Understanding the industry means knowing the technical terms and other vernacular of the industry. Learning their vernacular will help in terms of easy communication and you too will be accepted in the business community. For this, you can meet and talk to various other businessmen in the same business. Additionally, you can also register yourself and your business on the Connect App by ZipLoan. On this App, you can connect with different business owners and also discover the other businesses running in the market. The platform has a network of more than 60 thousand manufacturers and distributors on the App. Building relationships with fellow businessmen and other dealers will help your business to maintain momentum. With good business relations with them, you can also get a link to their customers and dealers. If you are already running a successful metal scrap business at one location, you can also look forward to starting a business at a new location. However, this step is only useful if you have already reached full business potential at the current location. You can avail scrap metal business financing to get easy access to funds. Now that you have read 5 tips, you can implement them in your business and make the best use of it. Previous article How To Increase Mobile Store Business In Just 7 Days? Next article Spices Traders: What Are The Most Profitable Spices To Export? What Are The Factors That Affect Business Loan Interest Rate?